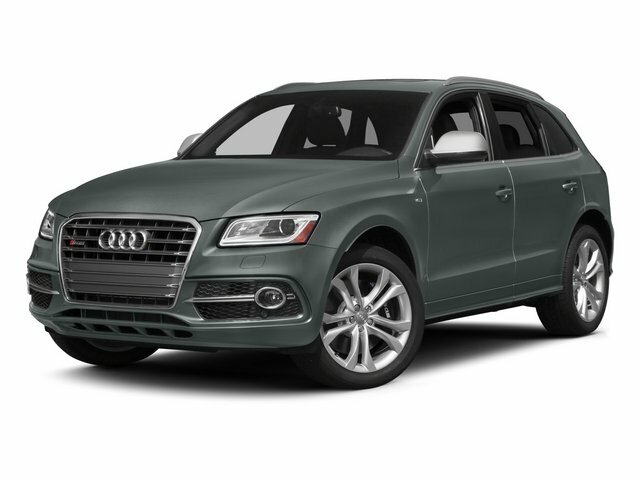 Description Look at this 2015 Audi SQ5 Prestige. Its Automatic transmission and Intercooled Supercharger Premium Unleaded V-6 3.0 L/183 engine will keep you going. This Audi SQ5 has the following options: ROOF RACK, Window Grid Diversity Antenna, Wheels: 8.5J x 20" 5-Parallel-Spoke-Design, Valet Function, Trunk/Hatch Auto-Latch, Trip Computer, Transmission: 8-Speed Tiptronic Automatic -inc: sport program and manual shift mode, Transmission w/Driver Selectable Mode, Sequential Shift Control w/Steering Wheel Controls and Oil Cooler, Tires: P255/45R20 Summer Performance, and Tailgate/Rear Door Lock Included w/Power Door Locks.